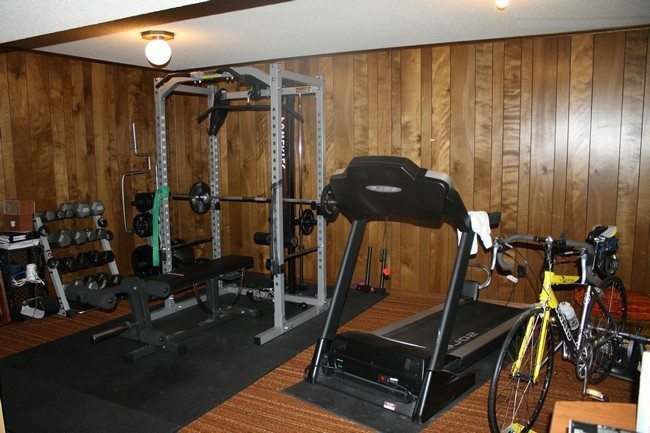 Having a home gym is always a good idea, because it affords you and your family the opportunity to work out on a flexible schedule and also helps you save money that you would otherwise have spent on a gym membership. 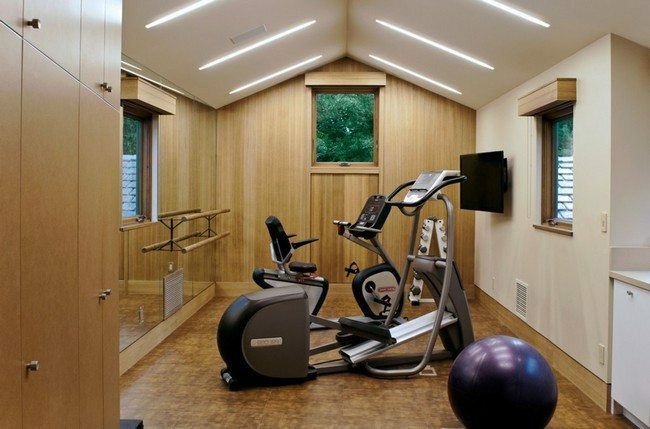 Below are ideas on how you can elevate the design of your small gym. Mirrors are used in the design of small rooms to make them appear larger. 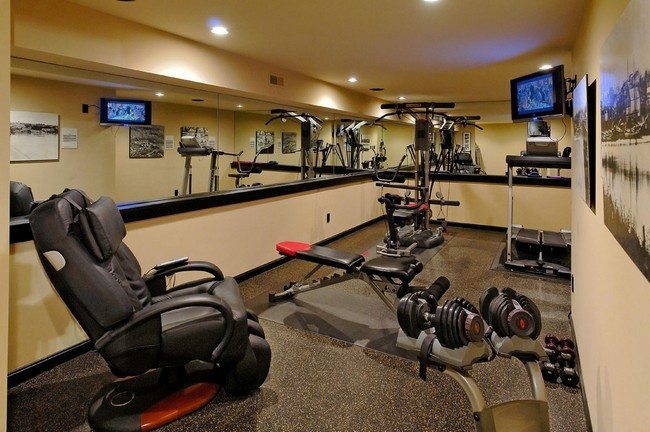 Likewise, adding large extensive mirrors to the walls of small gyms makes them appear larger and more spacious. 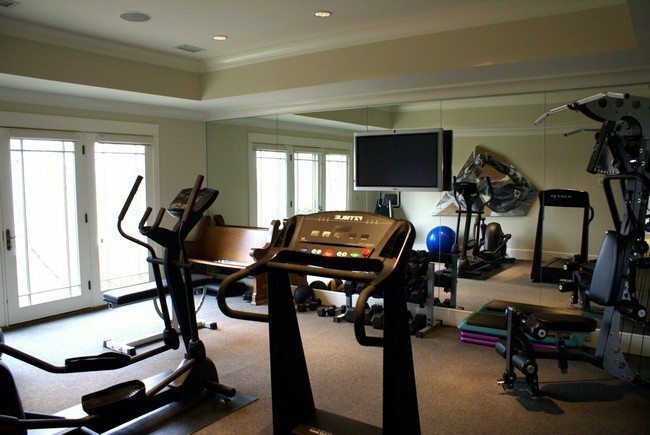 This narrow gym for example appears much wider because of the mirror. 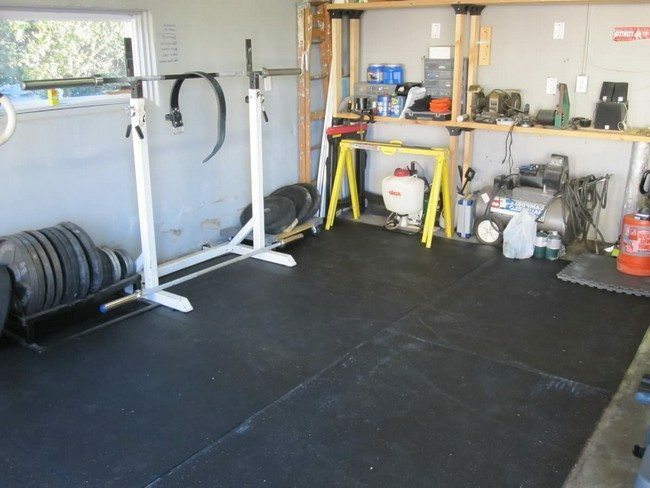 A home gym only requires little equipment. 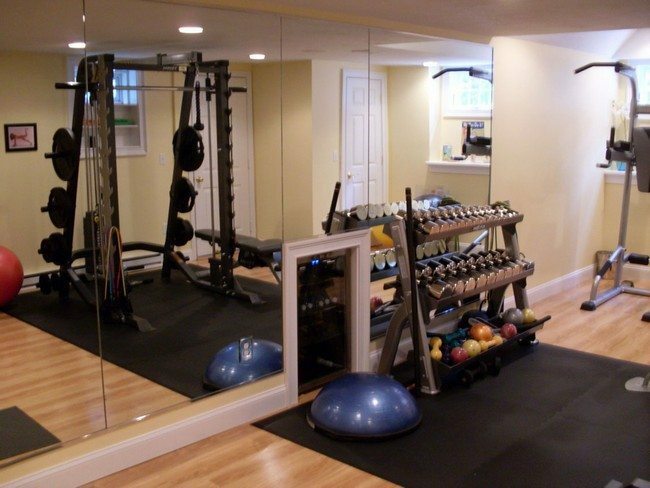 If you plan on fitting small equipment in a large room, consider adding other special features such as gyms to make the gym visually appealing and create an exciting workout environment. Large glass windows let in natural lighting which lightens up the room. 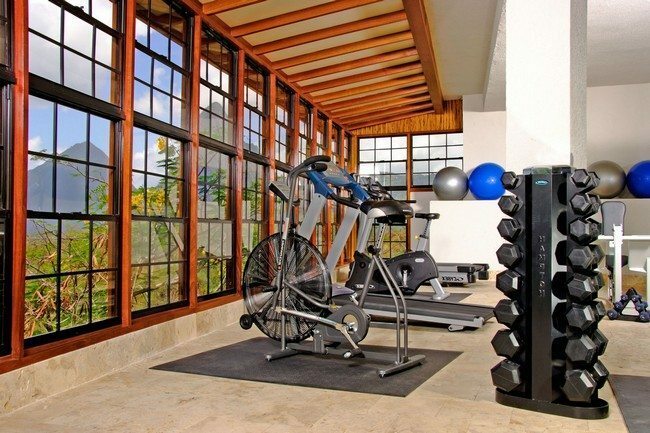 Also, if the windows overlook a scenic view, then you can enjoy the beautiful view of the outside as you work out. 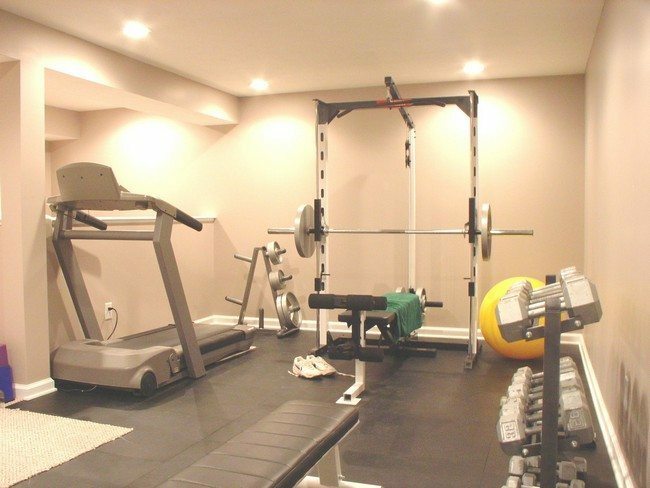 Grey is a commonly used color in the design of gyms. Grey creates an elegant and relaxing ambience without going over the top. 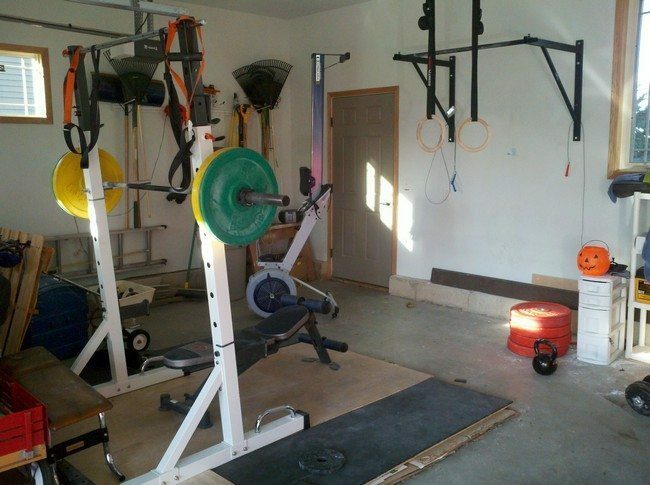 You can add shelves at the edges of your small gym in order to organize your equipment neatly and avoid accidents which may be caused by tripping during workouts. 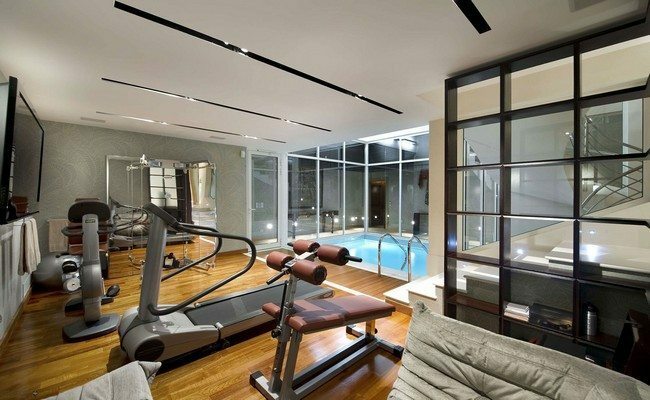 This gym is simple yet offers the user an extraordinary experience. 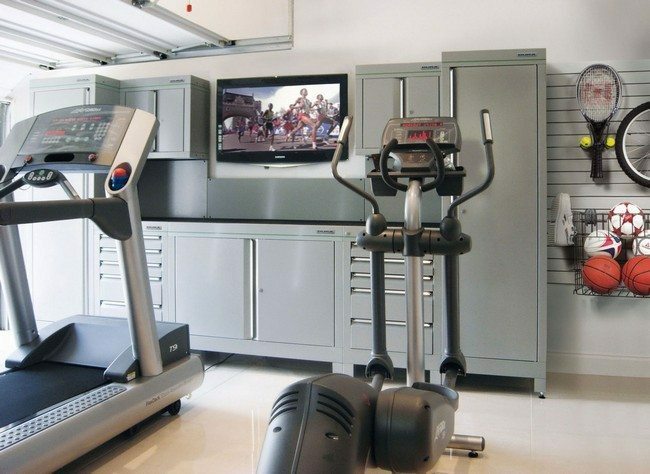 The television screen offers the user entertainment options as they work out, while the cabinet unit provides storage purposes. 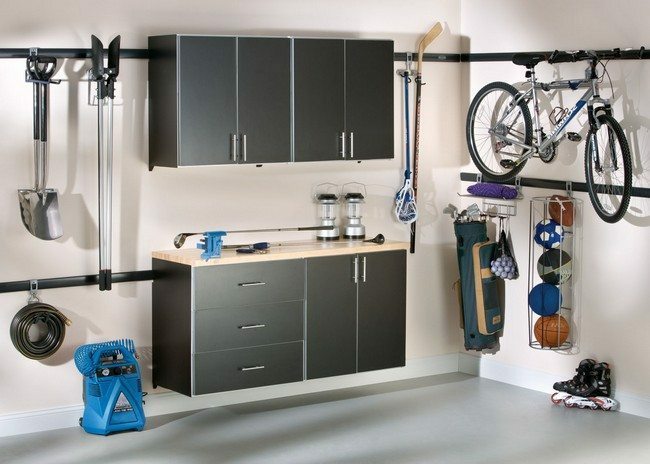 You can store small items and equipment in the drawers, while the closet can be used to store your workout gear, such as shoes. 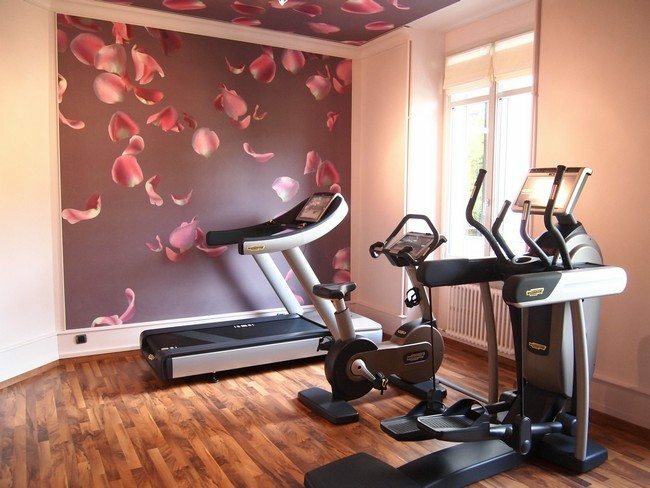 You can brighten up an otherwise plainly decorated gym by using creative wallpaper such as this one with patterns of flower petals. 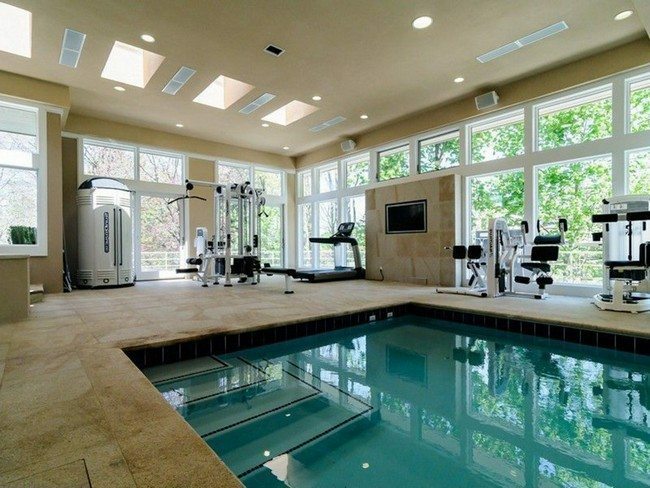 Just because it is a gym does not mean it has to be overlooked when it comes to décor. 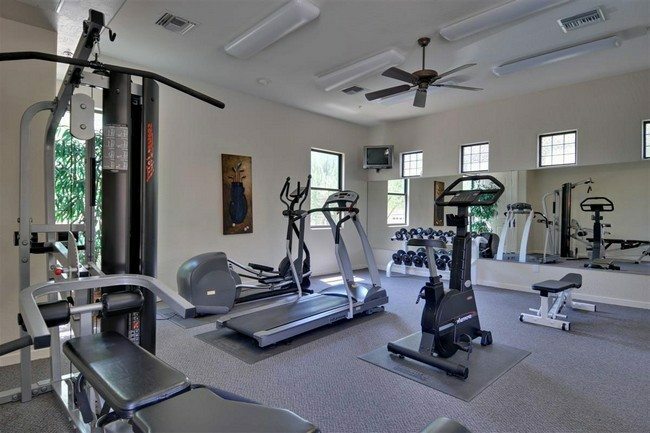 Add a tinge of class and sophistication to your gym by adding chandeliers, art pieces, drapes and other décor pieces. If you love sophistication, then you should definitely go for this look. 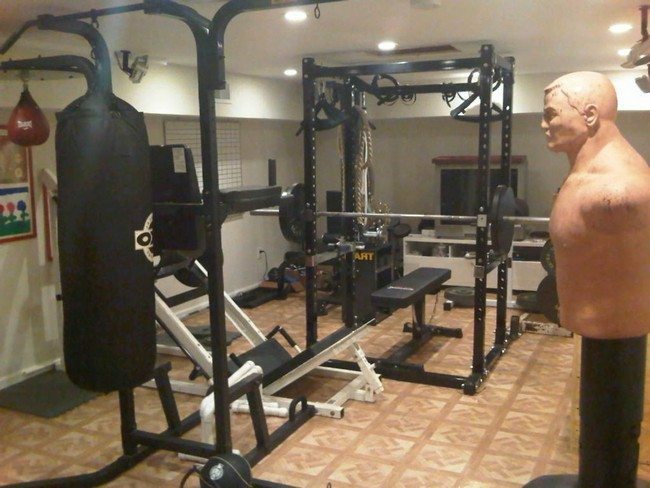 You can create your own small perfect home gym even if you do not have a vacant room that you can transform into a gym. 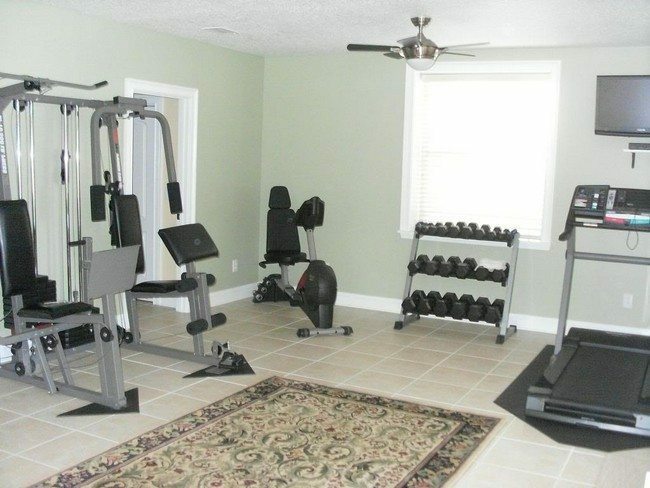 You can fit your gym equipment in the corner of a room and there you have your gym!